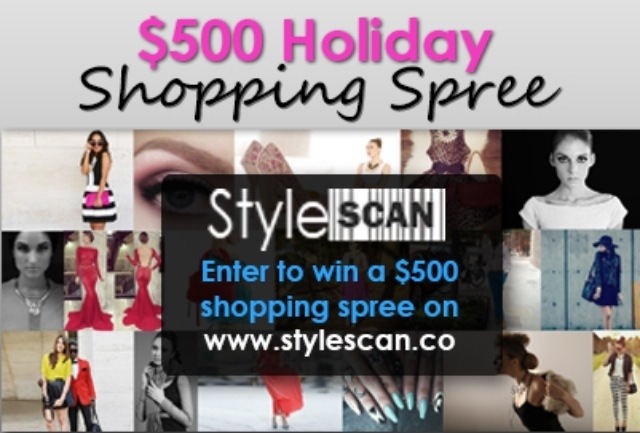 StyleScan, the new “Instagram” of fashion, beauty, makeup, and personal pocket stylist, is spreading its wings and getting ready to fly with its $500 StyleScan 2013 Holiday Shopping Spree Contest. The exciting part: The StyleScan Shopping Site goes live Midnight EST on November 29th with a special Black Friday Sale – just in time for our announcement of the contest winners at 10pm EST, Thursday November 28th! Sign-up for great shopping deals and 30% off your first purchase at the StyleScan Store – www.stylescan.co Something I love about this site is the average price point is $40! I already have the app and love how I can browse for items I own and see how others are styling them and upload my own OOTD and outfit layout posts to share style inspiration with others. All entries must be submitted by November 27th to be eligible for the contest. Oehhh that’s great :D I ummm *blush blush* didn’t know about the website yet! :D Time to snoop!